Sciatica. 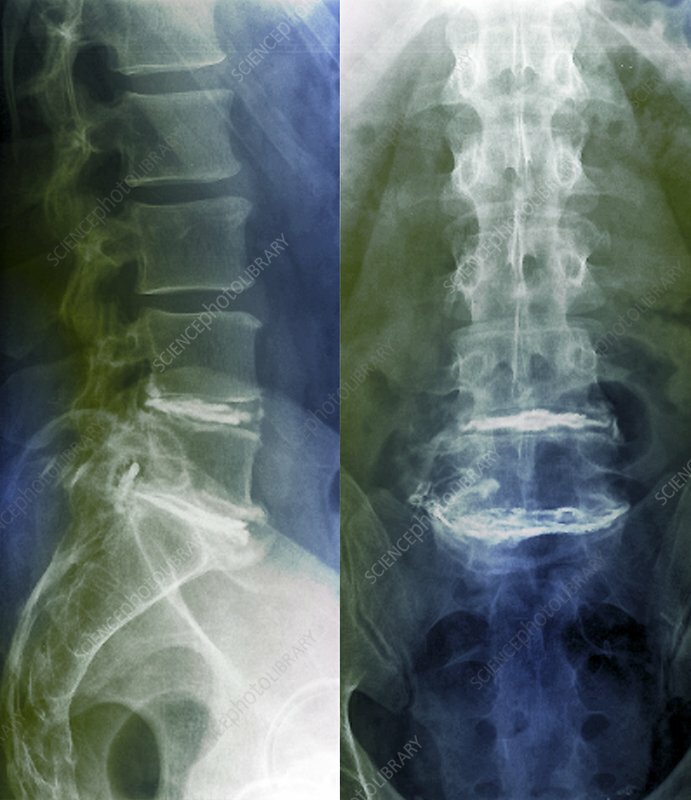 Coloured X-rays of the lumbar (lower back) spine of a 48-year-old patient, showing herniated (slipped) intervertebral discs (white, horizontal) that are the cause of sciatica. Sciatica is caused by compression or irritation of one of five spinal nerve roots that give rise to each sciatic nerve, or of the sciatic nerves themselves. Here the nerves are trapped by the herniated discs.